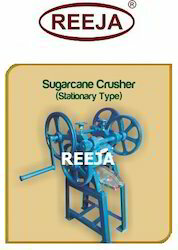 We are a leading Manufacturer of sugarcane crusher and sugarcane crusher stationary type from Chennai, India. Prepare a concrete foundation. Fix the base plate on it. Then fix one side frame on the base plate. Place the two roller shafts with bush bearing into the frame already fixed. Then fix the other frame in the base that receives other ends of the roller shafts. After that fix the top roller. Finally fix all the gears and the pulley in their respective places. Before starting the Crusher lubricate all the bearings and gear wheels with oil and grease. 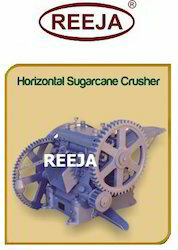 Looking for Sugarcane Crusher and Ecrasseurs De Canne ?